On Boxing Day seven walkers headed from Victory Park to Broadhurst Park in Moston, the home of FC United. We set off at 5:15am and covered the 25 miles in just over nine hours. 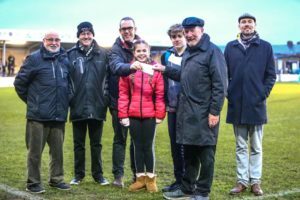 All the money raised is split 50/50 between our Fan Ownership Fund and Chorley Help the Homeless. The fundraising period is now over, and we have raised £2000. 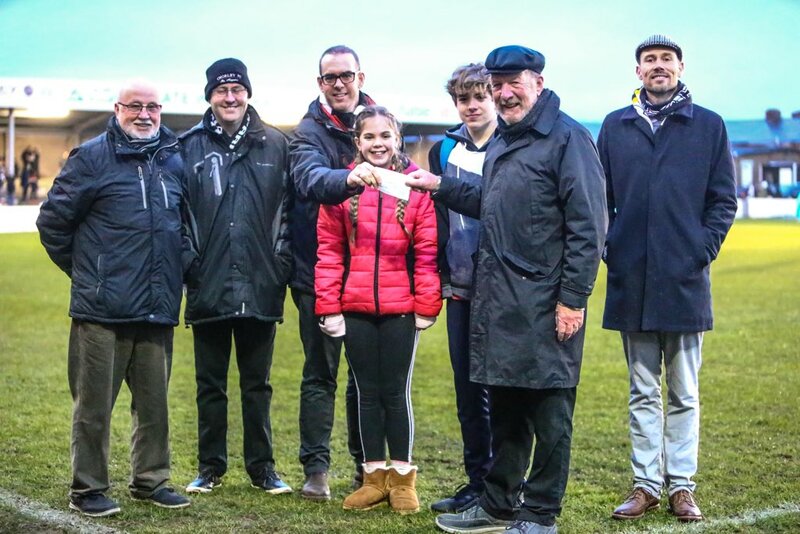 So at the Altrincham match on Saturday 12 January, we invited Ken Phillips from Chorley Help the Homeless to come along to the game. At half time our chair David Tindall presented Ken with a cheque for £1000 on the pitch. Chorley Help the Homeless strives to combat homelessness and the causes of homelessness in the Borough of Chorley and its surrounding areas. With a team of professionals and specialist volunteers they provide support to families and individuals who have nowhere safe to live, or who are about to lose their home.